Monarch Airlines files for administration. 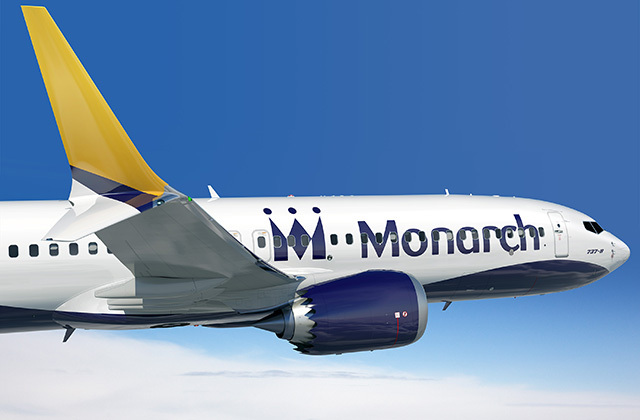 Monarch Airlines, the UK based charter and low-cost airline has filed for administration today. The UK CAA have tweeted information for anyone who is affected by their bankruptcy. All their operations have ceased with immediate effect. This is a huge shame as I remember travelling with them many times as a child on ski charters to Salzburg, Innsbruck and all over Europe. They had been around for years, serving both the charter market and also competing with the likes of easyJet and Ryanair on routes to France, Spain and Portugal. Their recent advertising campaign focused on their friendliness and service. However things haven’t been well financially for some considerable period of time. Back in September last year, their were persistent rumours that they were very close to insolvency, and didn’t have the funds to extend their license from the UK CAA. However it appears they did find a way to provide further financing, even bragging about the strength of their finances sufficiently to place an order with Boeing for 30 737-MAX8 aircraft. With today’s news, that all ends. The BBC reports that around 110,000 people are stranded abroad and so the CAA will be chartering aircraft to get people home. All future flights will be suspended so if you’re booked to fly with them in the near future, don’t go to the airport. I suspect that this won’t be the last airline failure this year. Air Berlin looks like it’s last day for all operations is 31st October with availability zero’d out for flights from the 1st November. Lufthansa is flying a 747-400 domestically in order to cope with the uplift in capacity with everyone booking away, and their A330s will be going to Eurowings and Malaysia Airlines. The fate of the rest of the airline gets decided on 12th October. After Air Berlin, Alitalia will be the one to watch, when six months of the bankruptcy process finishes. Interesting times ahead. Next Post: Qatar Airways Al Mourjan lounge. Doha. Aaaahhhh Spotty M – my first job in aviation. If I flew 10 times a month that was a busy roster for me!